In our next conversation we will talk about alternative medicine, faith healing, and even what has been referred to as magic. Are there similarities between people like Julie Rowe and early Mormon practices like seer stones? Dr. Jonathan Stapley compares the similarities! Jonathan: In the face of pharmacological a failure or a clinical failure in medicine, Mormons have been open to a blessing from a priesthood officer or an authorized healer, whether they’re male or female throughout our history. So, we’re open to the miraculous. Now, Latter-day Saints, also have been open to other aspects of supernatural cures. So, whether it’s a botanical cure or a special prayer. In the 20th century, these impulses—so the cunning folk that is no longer battling witches, but instead a botanic healer is manifest in society complementary to alternative medicines. So, Mormons are not in any way holding a monopoly, a complementary and alternative medicines. You can go to the bookshelves of your favorites on Whole Foods Market that’s frequented by the liberal elite, and you can hang out with evangelicals and the south and they are both doing similar things in this area of complementary and alternative medicine. When faced with a challenge, humans want hope. They find hope in people offering these alternative cures. Now in Mormonism, we have really interesting relationships with these, alternative cures. Sometimes it’s strictly botanical, but sometimes, for example, there was a popular healer, Julie Rowe, who was part of this Christ-centered energy healing movement. The Church has spoken out against a little bit recently in the past several years, but there are individuals that function again on the peripheries of society that are willing to provide hope to those that need it. And I won’t say that Julie Rowe has. You can trace her lineage through successive waves of cunning folk thought to the present. I don’t think that that’s necessarily true, although there are remarkable parallels between energy healing and magnetism that was popularized in the 19th century. I don’t think there’s a direct lineal descent from the cunning women to Julie Rowe, but I do think that they serve a similar function in society and by understanding one contextualizes the other. Check out our previous conversations on women and temple healers, as well as this conversation…. 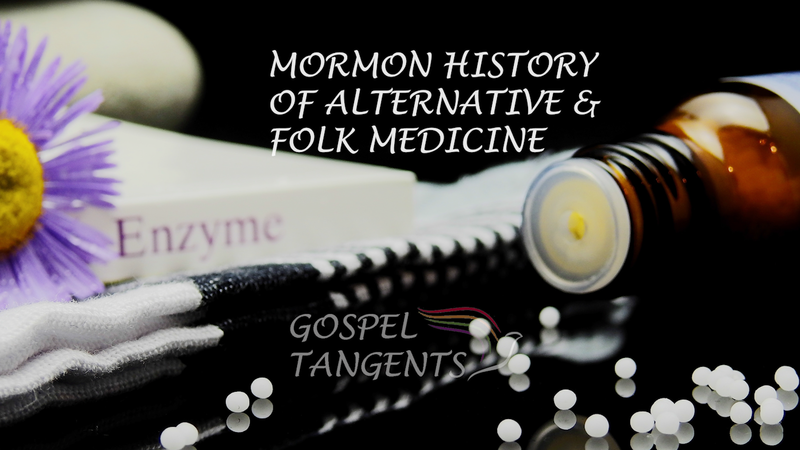 Jonathan Stapley compares early Mormon healings and seers to current alternative and folk medicine with people like Julie Rowe.